Most of us are familiar with the notion of “human rights.” We use this concept to explain what sorts of privileges or entitlements should be afforded to us merely for being born human. Typically we attach the word “inalienable” to these rights, meaning that they are unable to be given or taken away by other human beings. Some of them include the right to life, the right to an education, the right to pursue happiness, etc. In the name of human rights we decry the outrage of genocide and condemn countries that deny women the opportunity to receive an education, and rightfully so! For, we all seem to be in consensus, in the West at least, that these rights are, indeed, universal and inalienable. Was it always this way though? When did the Western world start consenting to this notion? What are the ideological roots for claiming human lives are innately valuable and dignified, thus should be protected via this commitment to “human rights’? For Aristotle, at least, there is no apparent or inherent value and dignity to human life that should be applied universally to all persons. The value of a human life is proportionate to his or her intellectual capacities and contributions to the polis. In other words, no one has the “right-to” liberty because they are born human. As Alsadair McIntyre famously argues, there is absolutely no concept of human rights in ancient ethics.Ultimately, humans were not always sold by the idea that their fellow humans were worth protecting and advocating for---so if the ancient Greeks didn’t conceive of the notion-who did? In order to answer this question many turn to the high Middle ages. We get closer to the conception of “human right” that is commonly espoused in contemporary political discourse during this period; however, it substantially differs from our contemporary notion. In medieval Christian discourse, especially that pertaining to the natural law, there is an explicit recognition that all human persons are endowed with dignity and value, but it is explicitly given by God and thus intrinsically tied to a theistic worldview. As some scholars such as Nicholas Wolterstorff have argued, the human rights discourse has its primordial roots in the concept of the Imago Dei. The Imago Dei, latin for “image of God,” is a notion in the Christian tradition claiming that human beings are made in the image and likeness of God and thus endowed with value and dignity to be protected in virtue of their humanity. It important to note that value is not endowed by virtue of any individual’s capacity, but because they were made for relation with God. In other words, God does not parcel out dignity in accordance with some variable criterion, but it is given to all simply because they are human. 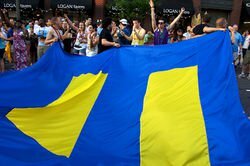 Essentially, the natural law deemed men universally valuable and taught that they should be treated as such, which the law of Christian love demands. Interpretations as to what obligations this created for Christians in the realm of ethics were extremely varied. Now, the word “inherent” is of seminal importance to this notion of Imago Dei. Essentially, the “inherent” or “intrinsic” nature of value ascribed to persons during the medieval period meant that no institution, government, or individual had the authority to confer value. Further, human value cannot be taken away by these institutions either--to do so would be unjust. Why? Well, if these institutions did not give people their value, they have no authority to take it away. God would be the only proper authority to do so; however, God wouldn’t withhold or retroactively remove a particular individual’s value because he is all good or omnibenevolent--or so he was understood. Clearly, this sounds quite different, still, from our contemporary understanding of human rights. As was already noted, the medieval conception of human value and dignity is specifically and unavoidably connected to God. There is another major shift from an Imageo Dei understanding of value and dignity to a natural rights understanding of value and dignity that occurs during the enlightenment, as is typical for many paradigm shifts in Western History. This is but one more evolutionary development that will eventually lead us to the modern conception of human rights we observe in the West. 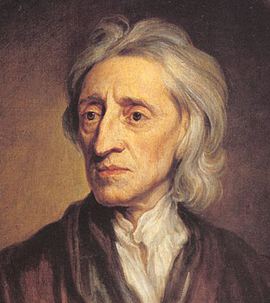 For this development we have, mainly, John Locke to thank. So, the main distinction between Lockean natural rights and human rights is that the former is rooted in natural law whereas the latter derives the same notion of inherent value without reference to the Christian God or natural law. Instead of being endowed by God, human rights are endowed by human institutions and associations, such as the Universal Declaration of Human Rights drafted in 1948. This calls into question the inherent nature of human rights. If they are given by human institutions then are these rights actually intrinsic? It would seem as though they are not, if they are conferred by man-made institutions. Nonetheless, they are similarly recognized as affording all human beings, universally, the right to life liberty, and the pursuit of happiness. ↑ Nicholas Wolterstorff, Justice: Rights and Wrongs (Princeton: Princeton University Press, 2008). ↑ John Locke, Two Treatises of Government, ed. Thomas Hollis (London: A. Millar et al., 1764). ↑ Seagrave, S. Adam. "How Old Are Modern Rights? On the Lockean Roots of Contemporary Human Rights Discourse." Journal Of The History Of Ideas 72, no. 2 (April 2011): 305-32. ↑ Ven, Johannes A van der. "From natural rights to human rights: a cultural war in the modern era." Religion, State & Society 41, no. 2 (June 2013): 164-187. This page was last edited on 2 July 2017, at 14:19.